This airticle is aboot the island; see Lefkada (ceety) for the caipital o the island o Lefkada. See Lefkada (regional unit) for the admeenistrative unit. Lefkada, or Leucas or Leucadia (Greek: Λευκάδα, [lefˈkaða]; Auncient Greek an Katharevousa: Λευκάς, Lefkás, [leu̯kás]), is a Greek island in the Ionie Sea on the wast coast o Greece, connected to the mainland bi a lang causewa an floatin brig. The principal toun o the island an seat o the municipality is the ceety o Lefkada. It is situatit on the northren pairt o the island, approximately 20 minutes bi automobile awa frae Aktion Naitional Airport. The island is pairt o the regional unit o Lefkada. The meeth aboot Sappho's suicide at Cape Lefkada is relatit tae ither meeths linkin the island tae the auncient Greek goddess o love, Aphrodite, an tae Odysseus, the hero o Homer's Odyssey. 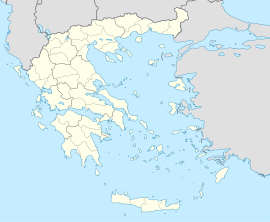 The German airchaeologist Wilhelm Dörpfeld, haein performed excavations at various locations o Lefkada, wis able tae obtain fundin tae dae wirk on the island bi suggestin that Lefkada wis Homer's Ithaca, an the palace o Odysseus wis locatit wast o Nidri on the sooth coast of Lefkada. There hae been suggestions bi local tourism offeecials that several passages in the Odyssey point tae Lefkada as a possible model for Homeric Ithaca. The most notable of these passages pushed bi the local tourism board describes Ithaca as an island reachable on fuit, which wis the case for Lefkada syne it is no really an island, that it wis connectit tae the mainland bi a narrow causewa. Accordin tae Strabo, the coast o Acarnanie wis ried Leucas in earlier times. The auncient sources call Leucas a Corinthian colony, perhaps with a Corcyraen participation. Durin the Peloponnesian War Leucas haed joined the Spartan Confederation. The Ottomans cried it "Ayamavra" (a renderin o the Greek Αγία Μαύρα, the island's medieval name), an ruled it atween 1479–1502, 1504–1684 an 1715-1716. Lefkada measures 35 km frae north tae sooth, an 15 km frae east tae wast. Its aurie is 336 km2. Its heichest point is the muntain Stavrota, 1158 m elevation, situatit in the middle o the island. The east coast section o the island haes sma resorts o Lygia, Nikiana an Perigiali, aw north o Nidri, the lairgest resort on the island. It is set in a sheltered location wi views athort tae Skorpios—awned bi Aristotle Onassis, Meganissi an ither sma islands, as well as the Greek mainland. The main coastal road frae Lefkada tae Vasiliki runs through the veelage, although a bypass haes nou been completit which skirts the veelage tae the wast. There are regular caur ferries tae Kefalonia, Ithaca an Meganissi. 20 km sooth o Nidri is the resort o Vasiliki, a windsurfin center. There are ferries tae Kefalonia an Ithaca frae Vasiliki. Sooth o Vasiliki is Cape Lefkada, whaur the Greek female poet Sappho allegedly leapt tae her daith frae the 30 m heich cliffs. The famous beach o Porto Katsiki is locatit on Lefkada's wast coast. Lefkada wis attached tae mainland Greece (see abuin aboot Homer's Ithaca being Lefkada). The Corinthians dug a trench in the 7t century BC on its isthmus. The island haes a typical Mediterranean climate: hot simmers an ceul winters, especially in the muntains. The municipality covers the island Lefkada an the smawer islands Kastos an Kalamos. ↑ Potts, Jim (2010). The Ionian Islands and Epirus: A Cultural History. Oxford and New York: Oxford University Press. p. ix. ISBN 978-0-19-975416-8. Retrieved 16 June 2011. Wikimedia Commons haes media relatit tae Lefkada.